Badass Teachers Association (BAT) provides an outlet for teachers and parents to voice concerns and many posts are written well and generate thoughtful discussion. The site helps teachers know they are not alone. Mark Niason-professor at Fordham and co-founder parent advocate Priscilla Sanstead bring many together to fight the good fight. Many state BAT groups are forming. BAT is increasingly making an impact with their voice and have the backing of high profile educators from around the country. Deborah Meier on Education showcasts her positive influence on the education of children. Since it is easier to put the bio from her website, instead of leaving something out, that is what I am doing. But it is frustrating because I realize that it is still impossible not to leave something out…. She has made so many contributions. I don’t need to tell educators this—they know! Many parents I’m sure know about her too, but parents if you don’t know of Deborah Meier you are missing out…. 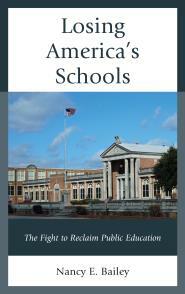 I got to meet Deborah Meier at a Save Our Schools meeting in 2012. She is truly cool—very down to earth, funny, and common sense and it is no wonder she writes a column called Bridging Differences. Two tremendous words very much needed in the conversation about education. Did I also say she is a fierce defender of democratic schools? Edutopia: The George Lucas Education Foundation is a nonprofit foundation which advocates exemplary programs for K-12 public schools across the nation. Their website describes these programs and includes the arts. The foundation also produces a magazine called Edutopia and other resources. Future Educators Association (FEA) is one answer to encouraging young people in high school to become teachers. What kind of teachers will America have in the future? The FEA is an international group, sponsored by Phi Delta Kappa, dedicated to encouraging and supporting young people in their interest to become educators. FEA provides scholarships and helps high school students to explore activities and materials involving teaching. Get Schooled with Maureen Downey is an Atlanta blog with timely discussions about schools that are important for parents and educators around the country. I often disagree with her, but her blog and the comments are engaging. Watch also for her columns in the Atlanta Journal-Constitution. Living in Dialogue started out as an Education Week blog once written by educator Anthony Cody who now has his own blog with the same name. The old posts are always interesting and still timely and could be listed under any of the headings on this website. But teachers know Anthony as one of their own so I posted about his blog under educators and activism. In the new Living in Dialogue Anthony shares the ideas and thoughts of many educators and activists concerned with education issues. National Network for Educational Renewal (NNER) was founded by educational researcher John Goodland. The organization works to provide “equal access to quality learning for all students, promoting responsible stewardship of our schools and universities, improving teaching and learning through pedagogy that nurtures and challenges all learners, and providing students with the knowledge, skills, and dispositions to become fully engaged participants in our democratic society.” School/university partnerships are emphasized. Rosanne Wood: Perspectives of a Principal is a blog by someone who I admire very much. Rosanne was principal of a school for students who needed an alternative way of learning. SAIL (School for Arts and Innovative Learning) was that school, and it is still helping students and parents find their way through her activism. Both SAIL and Rosanne have won many awards, and Rosanne’s presence is still felt by her leadership on many community boards. Her blog is well-written and informative like you would expect from a great principal and educator. She is also running for the Leon County School Board and I am sure would appreciate your support. The Network of Teacher Activist Groups (TAG) is a Chicago-based organization to create a national coalition of grassroots teacher organizing groups. Together, we engage in shared political education and relationship building in order to work for educational justice both nationally and in our local communities. TAG believes that education is essential to the preservation of civil and human rights and is a tool of human liberation. NYC Educator is a blog primarily for New York City teachers, but has interesting topics pertinent to all teachers. ProTeacher Community (PT)–a website with a lot of threads where teachers can find support for issues they face in the classroom. There is also a JOB SEARCH link. Mostly this site appears to be for early childhood and elementary school, but other areas like special education are included. It’s Free! But you must sign up. “All of our boards are intended exclusively for professional school teachers and staff (including classroom teachers, specialists, substitute teachers, administrators, paraprofessionals, and student teachers) working in early childhood, elementary, middle and high school. New teachers are especially welcome! We also welcome future teachers, 18 years of age or older, preparing for careers in the field of education; and retired and former school teachers with a continuing professional interest in teaching. We are NOT a parenting or homeschooling site. Stories from School: Practice Meets Policy is from Washington, amd there are quite a few teacher leader authors who contribute to this Blog and they also have an award sticker from the Washington Post, so I’m sold. But really the posts are interesting and cover new ground to consider. Teachers for Social Justice (TSJ) is a Chicago organization of teachers, administrators, pre-service teachers, and other educators working in public, independent, alternative, and charter schools and universities in the Chicago area. They came together based on their commitment to education for social justice and their work to create diversity with multicultural/multilingual classrooms. They want good, fair but caring education that provides students with the understanding to ask questions in the world. The group also works on campaigns and to assist educators in getting their voices into the discussion of school policy. Teacher in a Strange Land is Nancy Flanagan who is well-respected and has a nice writing style with her blog at Education Week. She often nails it when it comes to public school issues. One gets the sense they are sitting and having a cup of coffee with her when they read her posts. Teachers need all the friends they can get these days, and Nancy Flanagan is a friend to teachers. That’s because she is one herself. Teachers’ Letters to Bill Gates includes, “Educators from the U.S. and beyond” share there poignant teaching stories with Bill Gates. They tell how the education policies of the Gates Foundation have influenced their classroom, the students, their teaching schools and the communities. The letters are heartfelt. Are Mr. and Mrs. Gates listening? 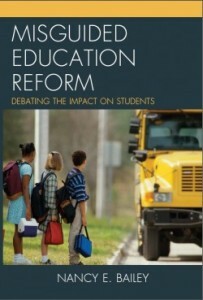 “Teach for America: The Hidden Curriculum of Liberal Do-Gooders.” by Hartman, Andrew. 2012. Jacobin.